Last week I shared with you that I’ve started to take a new approach and embrace the concept of mindful budgeting. By examining my ingrained habits with a fresh perspective, my goal is to achieve a new sense of financial wellness in a way that overhauls my life. Gaining a new perspective is the first step; creating budgeting rules is the next part of the journey. These so-called rules are impractical, lack any sense of direction, and serve no purpose. When I read them on a page instead of say them in my head, they come off as downright ridiculous! How did I ever expect either of them to work? When I was in college, my mom would send me a monthly letter with my “budget” written out in it. She’d write down the dollar amount of my rent, my bills, my grocery allowance, and my personal spending money, but there was never any reasoning included. It left me feeling really cut adrift when it came to my finances. However, when we finally understand that the why is just as important as the actual budgeting, that’s when the dollars finally start to make sense – and cents! Since I started my financial wellness journey, I’ve learned a few things along the way. One of these lessons is that writing a firm list of budgeting rules will be the key tool I can create for myself to support my end goal of being both a savvy saver and a savvy spender. Creating financial wellness, designing a budget, and choosing long-term financial goals will look different for all of us. We each need to decide what’s important to us, what we value, and where we want to be in five years, 10 years, or during retirement. 1. My credit card can be used only when there is no other option. Purchases should be made on my debit card or not at all. If a situation arises in which I have no choice – such as reloading my transit card – I’m required to immediately pay it off to maintain a zero balance. 2. Car sharing can be used only when there is no other option. 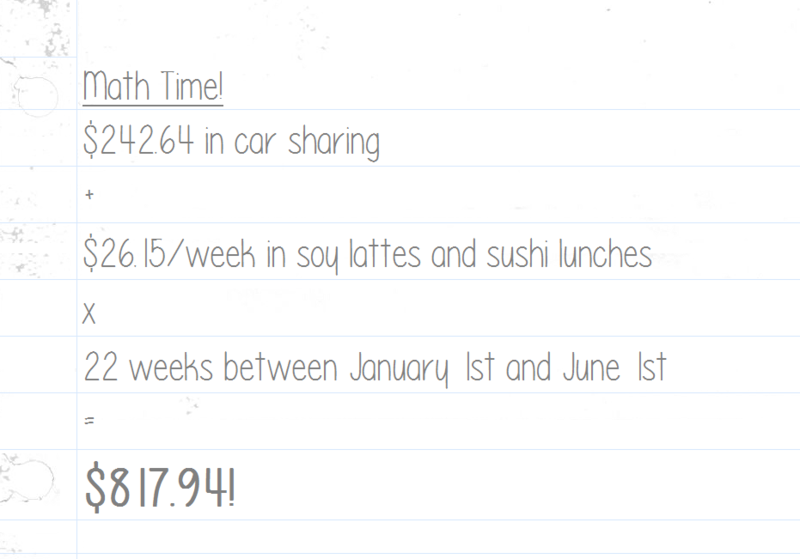 Between January 1st and June 1st, I spent $242.64 on using car sharing services simply because I was too lazy, too late, or too tired to wait for a bus instead. 4. All new purchases must follow the 1 in, 1 out principle. Some people subscribe to the notion that they can purchase a new sweater or new pair of jeans if they get rid of or donate an old item. I can only purchase a new item if – and only if – that item has fallen apart, stained, been lost, or is generally no longer usable. This rule goes for jeans, make-up, or shoes. 5. Track every cent spent. This one is the oldest budgeting rule in the book. My examples above are prime reasons why I should be tracking my spending because it’s easy to see how quickly things can add up – even if they’re seemingly little everyday expenses. I’ve been writing down the money that flows in and out of my bank account on the PDFs created by Cait Flanders. 6. Pay myself first. If tracking funds is the first rule, paying one’s self first should be the second. My monthly earnings are, after all, my earnings. I worked for them! Saving for something such as a vacation or a new mattress comes second, and my monthly expenses come after that. Automatically socking away 10% of everything that comes in is the biggest favour I can do for myself. 8. 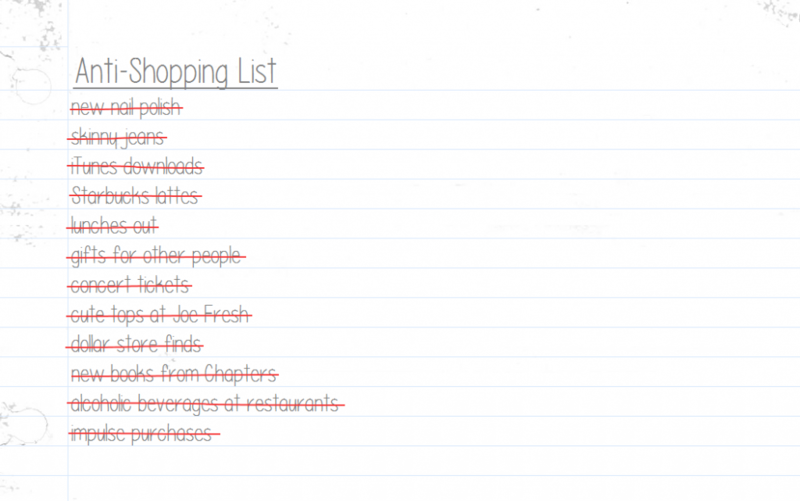 Make lists and stick to them! I can’t ever go grocery shopping without a specific list of items I need. It’s just how my brain is wired. However, it’s easy for me deviate from that list and add things to the cart that I didn’t intend on buying. If I find something at the store that wasn’t on the grocery list, and I feel that I need it, I’m required to add it to the next list to decide if I truly need it or if it was just a whim. I am certain that, over the next six months, slight adjustments will need to be made to these rules! One of the best ways I can stick to these rules is by imposing a shopping ban upon myself. Since June 1st, when I’ve told friends, family or colleagues that I’ve put a shopping ban in place, I’m met with a lot of confused looks. Some ask why, some ask what the exceptions are, and others try to convince me that it’s unnecessary. I’ve never considered myself a shopper, but clearly I’ve got some holes to plug to stop the hemorrhaging of cash. It’s so easy for me to wander a dollar store out of boredom on my lunch break, justifying a few small items because “they’re only $1.25 each.” See? There’s that word “only” again! And before I realize it, seven items at $1.25 each rings me in at just under $10 with tax. Because I was bored. In order to support my budgeting rules, I’ve created lists of banned items as well as approved items that I can purchase or spend my money on over the next six months. 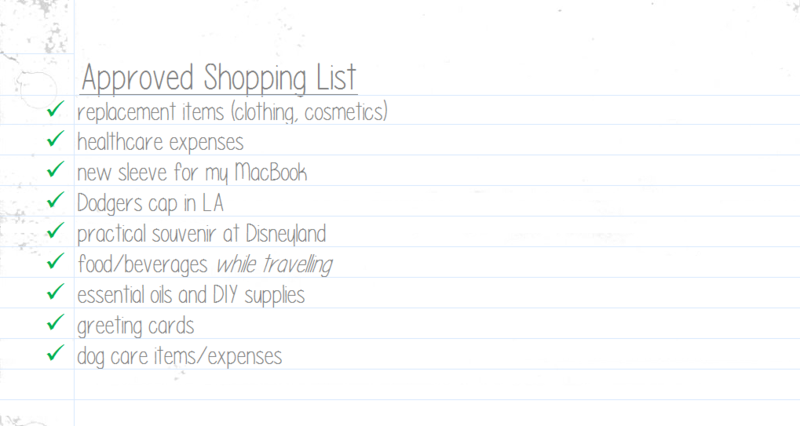 As with the budgeting rules, I’m sure these lists will flex a bit over time, but not without mindful consideration. Now that you know what I’m not permitted to spend my money on, these are the items for which it is a-okay for me to open up my wallet for. Don’t get me wrong: I know this won’t necessarily be easy. Writing my own rules is one task. Abiding by my rules will be the challenge. However, I wanted to share these with you in an effort to be transparent. It will also allow my family and friends to keep me accountable to the commitments I’ve made to myself. It’s only been two weeks and, so far, it’s felt like a breeze. In little ways I’ve already reaped the rewards of mindful spending and following my budgeting rules. Next week I’ll further explore some of the benefits I’ve experienced so far and the achievement milestones I expect to hit sooner than later, so I hope to see you back here! Your turn: Have you created budgeting rules for yourself? Do you know what works and what doesn’t? Share them below and let others know! Sounds like you need some company. I need this too and have been thinking about it a lot. Time to put my “mindful budgeting” thinking cap on. 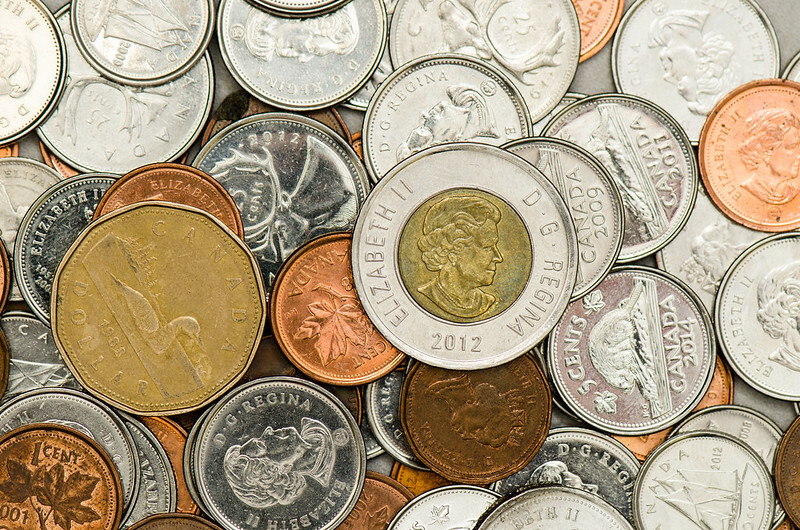 Hi Krista – Did you catch last week’s post on Mindful Budgeting? I feel like this is something that’s largely overdue for me and the time feels right. Let me know if you have any questions!